Officials call for more respect and higher salaries during protest, but gain little sympathy from public. The end of one-child policy in January was welcomed by many, but one group of people feels mistreated: the country's family planning officials. 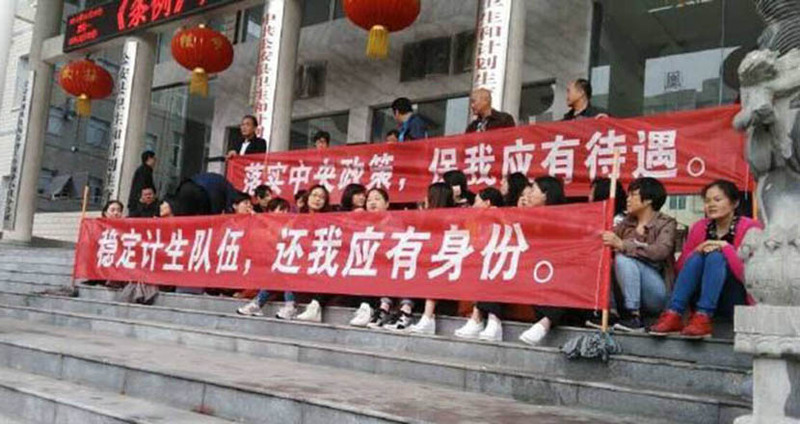 On Tuesday more than 30 family planning officials in Gongan County, in central China’s Hubei province, sat on the front steps of the local health and family planning bureau to protest against the public’s lack of respect for their work and the possibility of being laid off. Staff from the Gongan County population and family planning bureau protest at a county government building in Hubei province, May 23, 2016. From a staff member’s Weibo account. Another protester said on Weibo: “I dedicated my youth to family planning. Now it’s hard for me to make a living with a monthly income of 1,950 yuan,” or nearly $300. The director of the publicity department of the Gongan family planning bureau, surnamed Man, told Sixth Tone that the county’s family planning officials have been reduced to 70 from 100 since 2014. 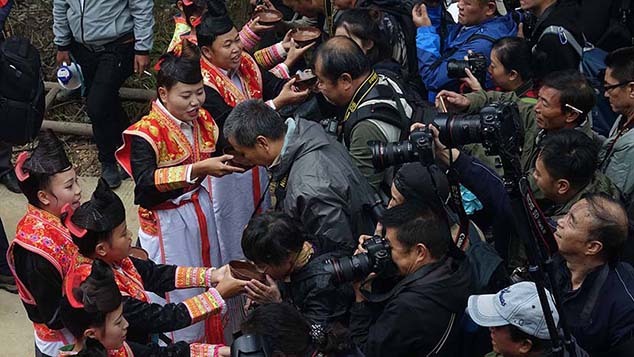 In terms of income, the average monthly salary of a civil servant at the county level is less than 3,000 yuan, he said. The Gongan health and family planning bureau hasn’t yet officially responded to the protesters. 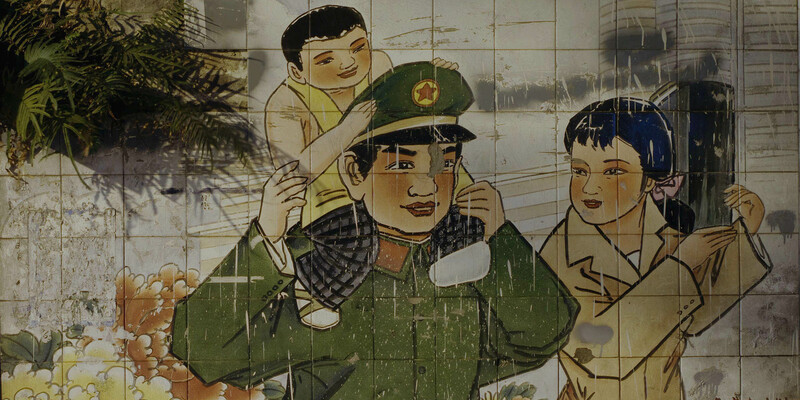 The one-child policy, which restricted most urban families to one child, was implemented nationwide in 1980. 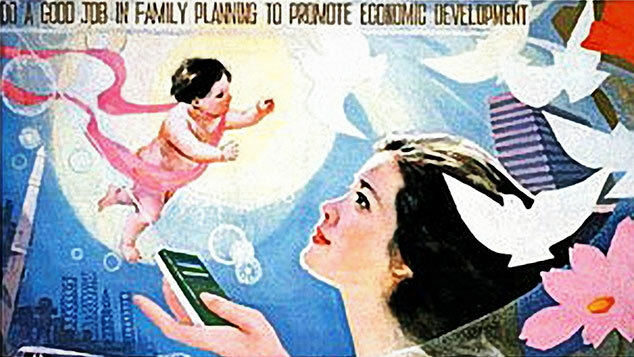 Family planning officials were hired to make sure the population stuck to the new rules by doling out fines, and, controversially, by forcing abortions and sterilizations. Since China’s government ended its population control policy, the role of family planning officials has been in transition. “Their job has been more service-oriented than before,” said Man. “Before the end of the one-child policy, their main job used to be issuing birth permits, whereas now they are providing more services to people, such as premarital health examinations. “Many family planning officials are confused about their responsibilities right now,” Qiao added.